We all enjoy a good love at first sight story, right? When two people see each other for the first time . . . sparks fly and they know that they’ve found “the one”. Alas, I’m not talking about that kind of love at first sight or any kind of romantic love, per se. 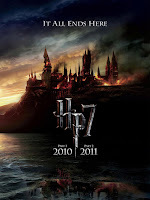 I’m talking about my love at first sight with regards to the magical world of Harry Potter. It all started in the spring of 2003. 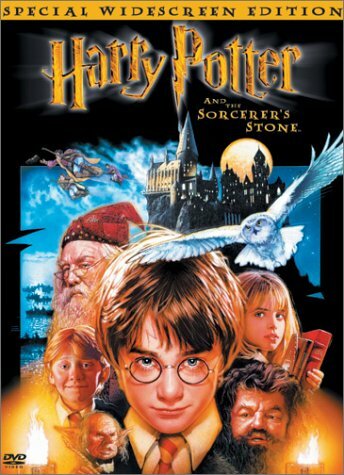 I was talking to a friend of mine on the phone and she told me that she would have to let me go in a few minutes because Harry Potter and the Sorcerer’s Stone was coming on TV and she was going to watch it. My husband was working late and my son was little and already in bed so I figured, what the heck? My parents and sisters had moved away that spring and were back visiting for my birthday. I suggested that we all watch Harry Potter and the Sorcerer’s Stone. I got a few skeptical looks (the same that I had given my friend), but told them that it was a really good movie. Honest. They enjoyed it, but my youngest sister, Trisha, loved it. She connected with it the same way I did. So, we watched Harry Potter and the Chamber of Secrets together next. Needless to say, we both loved it, as well. Even my husband became an instant fan! 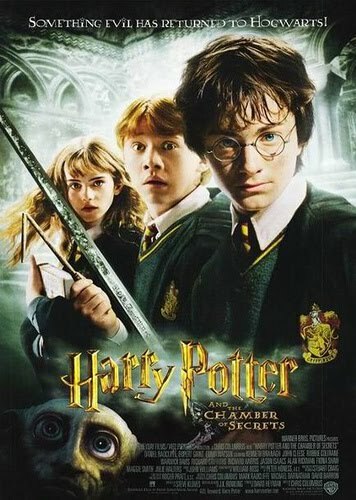 Since my family lived in Atlanta and my husband, son, and I were still living in Tampa when Harry Potter and the Prisoner of Azkaban was released at the theater, my sister and I couldn’t see it together. But by the time the fourth movie, Harry Potter and the Goblet of Fire, was released, we had moved to Atlanta and Trisha and I started a tradition that continues to this day: we always go see the Harry Potter movies together at the theater. And my son (who is 11) went with us to see Harry Potter and the Deathly Hallows part 1 last November. Needless to say, we are stoked for Harry Potter and the Deathly Hallows part 2 to be released in July!! Since we are such huge Harry Potter fans, we just had to visit the new Wizarding World of Harry Potter at Islands of Adventure (Universal Studios) in Orlando. Last month, we got the opportunity to do so. Upon spying Hogwarts for the first time, my eyes actually teared up. It was an amazing sight, even as far away as we were. The closer we got, the more excited we became. But because that section of the park is so popular, they only allow a certain number of people in at a time. We got our ticket and came back later to enter. Wow, was it crowded despite the limited number of entries at a time! First we saw the Hogwarts Express where it was docked at Platform 9 ¾. Then we strolled through Hogsmeade on our way to Hogwarts. We waited over two hours to do the Harry Potter and the Forbidden Journey ride (it broke down for about 45 minutes) inside Hogwarts, but it was SO worth it! It was an awesome ride! We also rode the Flight of the Hippogriff, which my kids especially loved. Of course, we held nothing back when it came to Harry Potter purchases, because we have no idea when we’ll be able to go back. We bought our own wands, T-shirts, the Marauder’s map, a stuffed Buckbeak (for my daughter), a time-turner keychain, postcards, playing cards, and more. Despite the crowded conditions, we had the best time ever as a family. And isn’t that what it’s all about? So, there you have it! As you can tell, I am a huge fan of Harry Potter. (I’m also a huge fan of Pirates of the Caribbean, but I’ll save that for another blog, LOL!) Are you a fan of Harry Potter, too? If so, when did you first catch the HP bug? If not, tell me about something that you are a huge fan of! One lucky commenter will win a book from my stash. I am a Harry Potter fan & about to embark on another round of reading the books. I think it is brilliant how these books got a whole generation of children hooked on reading. I too am a huge Harry Potter fan I love the books and the movies LOL, the whole family is really looking forward to the final part of The Deathly Hallows my grandson Jayden loves them as well. I love all things Harry Potter. I took my son to the first one and we have been fans ever since. He even has a cardboard replica of Hogwarts in his room that took hours of work I might add. It is time to start reading the series again. I always read through them all before a movie release. I love the Harry Potter movies. I love them so much that I am waiting to read the books until after the last movie is released. I am usually disappointed with movie adaptations if I have read the book first. My husband have seen every movie and have our favorites on DVD. Ron is my favorite character because we both hate spiders. Andrea, I'm a huge Harry Potter fan, too! 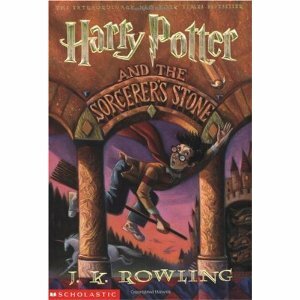 I started reading the books to the boys before HP and the Sorcerer's Stone movie came out. Needless to say, we definitely went to the theater to see it when it came out. My MIL was visiting for Thanksgiving, so she went with the boys and I to see it; my hubby stayed home with my daughter. The boys and I have read all of the books (I've shed many a tear), and my daughter is blowing through them now. My husband is the only one who hasn't caught the Harry Potter bug. My sister and oldest niece are also crazy for all things HP, and we're chomping at the bit for HP and The Deathly Hallows Pt. 2.
marybelle said: I think it is brilliant how these books got a whole generation of children hooked on reading. Helen, isn't it fun when the whole family enjoys something together? How fun for you and your daughters! I didn't read the books until my son read them and by then they were all out. I tell everyone that J.K. Rowling helped my son reach the 250 AR (Accelerated Reader) point club last year in school as those books are worth a lot of AR points. LOL! Dianna said: He even has a cardboard replica of Hogwarts in his room that took hours of work I might add. Stacie, we have them all on DVD and watch them all in order before another movie comes out. The kids know to be extra careful with Mom's Harry Potter DVDs. LOL! I knew you were a fan, Gannon! Yay! Oh my, we can't wait for part 2!! We may see it more than once, I'm thinking. It's funny, Andrea, but my kids hesitantly watched the first one years ago and never caught the bug. Then they aged a few years and now they are completely obsessed! After the last movie release they decided to read all of the books before July's movie release. Everyone in the family is pretty hooked. My husband and I have seen all the movies so far and the kids have seen all the movies (numerous times) and are working on the books. The big (HUGE) thing in our house is that no one wants to know how it ends! Everyone wants to see the movie first and then read the ending. I think it's like Stacie said - they enjoy the books so much more after seeing the movie, but if they read the books first the movies wouldn't live up to the books. I can't help but smile while reading your post. The only midnight release I've ever gone to was for a Harry Potter Book. This past Nov my family and I finally made it to see the Wizarding World of Harry Potter in Fl. The Harry Potter magic is contagious and I was like a kid in a candy shop running from one attraction to another. It was so amazing and wonderful..A Must see and experience! including moaning Myrtle in the ladies room. Awww, I still remember that day! :) That was one of the best decisions I've ever made-- that and reading romance books, of course. ;) Harry Potter will always be a favorite of mine. So I'll sum up: I'm COMPLETELY OBSESSED. And my experience with HP is almost exactly like yours. I'm a late convert (November 2001, bad date but great movie), and I've been to a HP exhibit in Chicago (BRILIANT, THIS CLOSE to touching Snape's clothing!) and to the Wizarding World (I wish they sold Butterbeer outside of the park). We're a three-generation-Harry Potter-fan family--books and movies, Andrea. Nearly the whole family has read the books, and all except the two-year-old have seen the movies. The oldest grand (11) has read all the books, and grands #2 and #3 have read books 1-5 and will read the others. My sister is the most obsessive. She collects the Lego sets and makes sure she has an HP calendar every year. She and I have been fans since 1999. She was in a bookstore in September of that year, shortly after The Prisoner of Azkaban was released, and overheard a young man in his late teens raving about how happy he was to be able to read the third book. She has sons around the reader's age and wanted to see what could generate that degree of excitement in that audience. So she bought the first two books, which were available in paperback by then. She read them in two days, loved them, and passed them on to me. I loved them too. By the end of the week, both of us had bought copies of Adkaban, and we've been reading and rereading HP ever since--and watching and rewatching the movies since the first one was released in 2001. We're talking about a big family trip to Harry Potter World. A large part of the fun is sharing the HP love with one another. My son was a big fan of Harry Potter and he tried to get me to read the books but I never did. I love my romance books. I did enjoy the Twlight series but can't say I was a big fan. I started the Harry Potter books with my Niece and the books got passed all around the family from my father-in-law to my youngest niece. When the movies came out we would all pile into the theater armed with popcorn, snowcaps, sour gummies and soda (even the ones that don't read the books)all of us took up a whole row. Chris, you are so right! The Harry Potter magic is contagious. And I felt like a kid, too! Trisha, I will never forget that day! One of the best days ever! We're talking about a big family trip to Harry Potter World. A large part of the fun is sharing the HP love with one another. Absolutely! I hope you and your family get to go soon! Oh, and everyone knows my obsession. In fact one of the faculty bought me a Christmas gift last year--which wasn't typical--and it was SNAPE'S WAND. When I screamed and danced around the office with it and showed it to everyone, she said it was the best gift she'd give all year. I'm in love with the Anne of Green Gables series. I remember reading them as a child and still love the adventures of the imaginative Anne. And speaking of Snape, my husband and I were recently talking about how we could never see anyone else but Alan Rickman playing Snape. He is so perfect for that part! I'm not a fan of Harry Potter, but my sister is. What amazes me about it is how it appeals to everyone, young and old, even though it was originally geared toward the YA audience. And I love the Pirates movies too, Andrea! It was just so big and splashy and unapologetically over the top. Andrea, I love this blog!!! Alas, my family has never seen nor read any Harry Potter. Guess that needs to change, right? Lisa said: I'm not a fan of Harry Potter, but my sister is. What amazes me about it is how it appeals to everyone, young and old, even though it was originally geared toward the YA audience. It does appeal to all ages, doesn't it, Lisa? I'm telling you, J.K. Rowling is a genius. Have you seen any of the movies? If not, has your sister tried to get you to watch them or read the books? I love the Harry Potter movies. Sadly I haven't read the books but they are definitely on my TBR list. I became of fan as soon as the first movie came out. I can't count how many times I've watched all of the movies. I can't wait to see the last movie. I haven't read the books, but I am a fan of the movies and its actors(Daniel, Emma and Rupert.) I do plan to read the books at some point. I honestly used to hate Harry Potter (yet I still watched the movies lol). Only recently did I start liking the series (books and movies). I've had a HP movie marathon during the Christmas holidays and so far I've read the first two books on my e-reader. I introduced my daughter to HP!!!! This house is a HP house in a big way. All available movies and books are owned and read and watched and read again and rewatched. Munchkin(6 yr old daughter) is having her daddy read her Sorcerers Stone now. She's seen all the movies available on DVD. My neighbor and I left our kids and husbands at home the night that Deathly Hallows (book) came out so we could go to the midnight release. We had SO much fun being giggly school girls again. LOL! I've not been to Universal yet tho I do only live 2 hrs away so maybe this summer we'll venture there. My nephew and his wife went opening weekend and took loads of pictures. AMAZING!!! I can't wait to to. Thats the benefit of living in FL, you can make a day trip out of it on a random weekday and hopefully avoid crowds that might otherwise interfear with traveling folk. I've not seen Deathly Hallows 1 because $$ was tight when it came out. You can bet your boots I'll be picking it up on April 15 when its released on DVD! I'm not a huge fan of Harry Potter, haven't read any of the books. I have watched the movies, but not in the theater. I'm a huge fan of Pirates of the Caribbean, Star Wars and Indiana Jones - have the boxed sets or all the movies in the series and never get tired of watching them. No, my sister hasn't said anything to me about reading the books. However, she refuses to watch the movies because they're almost always never as good as the book, and she knows she'd be upset with all the changes they would make to be able to adapt the story to film. Danielle, you should read the books. They really are terrific! Jane, I love the actors, too. They are perfect for the parts. I hope you enjoy the books if you get the chance to read them! Antonia, we love having Harry Potter marathons! We always have one before a new movie comes out. So much fun! Okay, so I'm probably one of the few people here who has neither read the books nor seen the movies. I think I've shied away from the books because they're so long and I just don't have that much time. One of these days I'll have to rent the movies. I am too a Harry potter fan. I remember that i read the e-book in my language (Bahasa Indonesia) about 6-7 years ago, when i still worked. And after I got married. We bought the movies, and watched with my hubby. Even he never read the books, but still he loves the movies, just like me. And we're sooooo waiting to watch the Harry Potter and the Deathly Hallows part 2 !! I am a fan of all of the Deborah Crombie books which are all set in England. My husband is a HP fan. loves all the movies. I got the first Harry Potter book when it first came out and have all of them.. I even bought the "English" versions of the first 4 or 5. We were in Canada when ORDER OF THE PHOENIX came out. I was surprised at the many different sets the had. They had a set for adults in paperback with very different black and white covers. As a children's libraruian, I had big Harry Potter parties when each movie vame out. Everyone dressed in costume, we fixed food (stone cookies, chocolate frogs, butter beer), and had activities. We would all walk together to the theater to watch the movie together (small town, the theater is only 2 blocks from the library). My oldest daughter (37) has seen every one of the Potter movies at the midnight showing opening day. Too bad we live so far apart. We went to Universal this past Fall. Luckily it wasn't very crowded. The ride is awesome. My daughter and her husband as well as our grandson (from my other daughter) were able to come with us. Unfortunately, #1 fan daughter couldn't go on the rides, she was 3 months pregnant. She would have loved it. I am looking forward to the last movie. Sorry to see the saga end. I like HP, but wouldn't say I'm a huge fan. There are other things I adore more: Julia Quinn’s Bridgertons; Lisa Kleypas’s Wallflowers; chocolate; coffee; the many book series written by Charlaine Harris; dialogue from the movie Casablanca (best-written movie ever,) mysteries by Michael Connelly and Robert Crais; LSU football; finding “new” UF authors Carolyn Crane, Jennifer Estep and Gini Koch; air conditioning; To Kill a Mockingbird; discovering new authors; discovering mature authors who are new to me and have wonderful backlists; blogs like this one; Courtney Milan’s Unveiled (my best 2011 read so far;) traveling; taking my Kindle along when I travel, and reading to my grandkids. Thanks for a fun column. I read the Harry Potter books before I went to see the movies so I got to explain parts of the book that were glossed over in the film to my friends. I started reading the books just to see what kind of books would get all those kids in such a fervor (midnight release parties? weren't those way past their bedtimes?). This is not Tolkien or Wodehouse or even Agatha Christie or Dorothy Sayers. I'm glad the world in the books is so fun and imaginative because the first part of the first book, what with all the suffering Harry experienced at the Dursleys, was not that interesting. And I still prefer Stephen Fry's reading to Jim Dale's. Yay! Glad to hear your were hooked ever since, mariska! Part 2 looks to be action-packed and really intense, doesn't it?? Can't wait! traveler, I need to look up Deborah Crombie's books. Thanks for stopping by! Oh, librarypat, your parties sound like a lot of fun!!! I bet the kids LOVED it! And yes, you're right--while I can't wait for part 2, it will certainly be bittersweet. Luckily, we can always watch the DVDs! Sheree said: I started reading the books just to see what kind of books would get all those kids in such a fervor (midnight release parties? weren't those way past their bedtimes?). I am a huge fan of harry potter. i got the first two books when i was pregant with my daughter and fell in love. when the next ones came out i had to stand in line a midnight like everyone else. fell in love with the movies also. I am such a fan that i collect some of the memoriblila. i have a cool set of bookends from the first movie, a snowglobe with harry on is broomstick. some other figurines. my daughter when she was 4 bought me a harry potter doll. and i have a lot of other random stuff like valentines, buttons, magazines, book of posters from the movie. i am like a teenage girl when it comes to harry potter and i am 39 years old. it is my secret obsession.